The new stadium of English Premier League football side Everton will “break the mould”, according to chief executive Robert Elstone, who pledged the club will ensure its new home is not “predictable and formulaic” like other recently-built grounds. Birmingham is set to be officially announced as the host of the 2022 Commonwealth Games on 21st December 2017. AFC Wimbledon will begin building a new stadium at Plough Lane after reaching an agreement with Merton Council. Meis Architects has unveiled renderings of a 25,000-capacity stadium being designed for Major League Soccer (MLS) hopeful FC Cincinnati. Several UK sports organisations including Premier League football clubs have received millions of pounds worth of grants from the European Union’s Erasmus programme. Tottenham Hotspur Football Club has confirmed that its proposed new north London stadium has received approval from the mayor of London Boris Johnson. Beijing will become the first city to organise both Summer and Winter Olympics, after the Chinese capital was selected as host of the 2022 Winter Games. The hotel, leisure and sport sectors look set to end 2014 on a positive note after construction contracts reached their highest level in more than two years, according to new research. Grimsby Town Football Club (GTFC) is hoping to take its proposals for a new community stadium to the next level by securing a lease for the Peaks Parkway site south of the town. The cost of converting the London Olympic Stadium into a 54,000-capacity multi-use stadium is set to rise from £154m to £190m due to complications in the new roof. Liverpool FC’s plans to increase capacity of the club’s Anfield Stadium by around 13,000 seats have been given the green light by Liverpool City Council (LCC). A progressive 20,000-capacity stadium has opened as the centrepiece of an environmentally focused regeneration project in the Hungarian city of Debrecen. Designs have been revealed for the 60,000-capacity Al Bayt stadium in Al Khor district, Qatar. 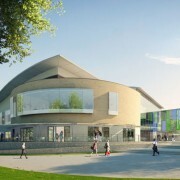 Batchwood Sports Centre in St Albans, Hertfordshire is to reopen on 26 May following a £6.6m redevelopment. Tehran-based New Wave Architecture have designed a 4,500sq m (48,438sq ft) rock climbing gym for Porlour, Iran, that resembles a giant boulder. Tottenham Hotspur Football Club (Spurs) is hoping to have its new stadium ready for the start of the 2017-18 season. David Beckham and his partners have released images of the proposed 25,000 – capacity football stadium they are hoping to build in Miami, Florida, US. Construction is to start next month on the University of Birmingham’s new £55m red brick and copper-clad sports centre on its Edgbaston campus. The Scottish government has launched a new fund to help communities own and run their sport facilities. The Lee Valley White Water Centre has opened today for the 2014 season, following the completion of a £6.3m development and expansion project at the London 2012 venue. Oldham Council unveiled plans for a new sports centre in Royton this week, which is slated to open in autumn 2015, coinciding with the closure of an existing facility. Barcelona FC’s board of directors has rejected the option of building a new stadium and instead has approved a redevelopment of its iconic Nou Camp stadium. 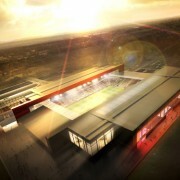 Scunthorpe United Football Club (SUFC) has revealed plans for a new 12,000 capacity stadium in the town. The Football Foundation has announced that it has now supported more than £1bn-worth of grassroots sports projects. The German World Cup side is to spend its time in its own purpose-built village complex with 65 rooms when the team takes part in next year’s tournament in Brazil. Queens Park Rangers Football Club has unveiled plans for a new 40,000-seater stadium as part of a major regeneration project of the Old Oak area in west London. The International Ice Hockey Federation (IIHF) has announced it has received co-hosting bids from Germany-France and Denmark-Latvia for its 81st World Championship in 2017. Istanbul, Madrid and Tokyo on Monday submitted their candidature files to the International Olympic Committee (IOC) as the race to host the 2020 Summer Games moved into a decisive phase ahead of September’s final vote. Rome will return to the Olympic Games bidding fray for the 2024 event after the city’s Mayor, Gianni Alemanno, admitted that it had made the wrong decision in withdrawing its tilt at the 2020 Games. Istanbul’s bid to host the 2020 Olympic and Paralympic Games received a boost yesterday following credit ratings agency Fitch’s decision upgraded Turkey’s investment grade. FIFA has announced the 11 cities to host the 2018 World Cup in Russia, with Krasnodar proving the surprise omission from the 13 originally shortlisted. Mexican Football Federation (FMF) president Justino Compean has revealed that the country will bid to host a record-breaking third FIFA World Cup in 2026. The Home Secretary has confirmed an additional 3,500 of military personnel will support security operations at the London 2012 Olympic and Paralympic Games. Plans for the construction of a new stadium on land next to the University of West England campus at Frenchay, Bristol, have been recommended for approval by the local authority. The International Equestrian Federation (FEI) has announced that five cities have confirmed bids for the 2018 World Equestrian Games. Bristol City Council (BCC) has approved plans put forward by Gloucestershire County Cricket Club (GCCC) for the redevelopment of its County Ground home. Georgia has confirmed its intention to make a bid for UEFA Euro 2020 after shelving plans to put forward a co-hosting model with Azerbaijan. Brighton and Hove Albion Football Club’s (BHAFC) plans to expand the Amex Stadium in Falmer, East Sussex, have been given the green light by members of the local authority. The Turkish Football Federation (TFF) on Tuesday submitted its bid to UEFA to host Euro 2020, with questions marks continuing to surround how the proposal will fit in with Istanbul’s tilt at the 2020 Olympic Games. The five bid cities for the 2020 Olympic Games were handed an invaluable platform to impress on Saturday, as they all made presentations at the Association of National Olympic Committees (ANOC) general assembly in Moscow. Chelsea Football Club (CFC) has said the complete new-build of its Stamford Bridge home in west London, which would provide a 60,000-seat venue, has “little chance of acceptability”. International Olympic Committee (IOC) president Jacques Rogge has hailed the “high level” of interest in the 2018 Youth Olympic Games after confirming bids from six cities for the event. Technogym has launched its own legacy programme for the 2012 Olympic Games as part its role as the official fitness equipment supplier for the Games. Philip Browne, the chief executive of the Irish Rugby Football Union (IRFU), has confirmed that a bid for the 2023 Rugby World Cup is under consideration by the country’s sport stakeholders. Madrid 2020 bid leaders insisted that Spain’s financial crisis would not hinder the city’s third consecutive tilt at the Olympic Games as its controversial bid logo was unveiled on Monday. International Equestrian Federation (FEI) secretary general Ingmar de Vos has hailed the record number of expressions of interest to host the organisation’s flagship event in 2018 as a ringing endorsement. The British Olympic Association (BOA) has signed a new Memorandum of Understanding (MoU) with its Russian counterpart to identify areas of strategic partnership. London mayor Boris Johnson has called on Tottenham Hotspur Football Club (THFC) to press ahead with plans for the redevelopment of its White Hart Lane stadium in London. Everton Football Club (EFC) “needs” a new stadium in order to ensure that it can continue to compete in the Premier League, according to its former chief executive Trevor Birch. 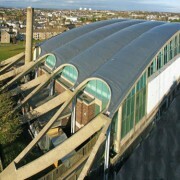 Leisure Centre, West London, have been put on display by the local authority. Florida Atlantic University (FAU) will open its new 30,000-capacity stadium in Boca Raton on 15 October. Tottenham Hotspur Football Club (THFC) has moved closer to transforming its White Hart Lane ground after securing a Section 106 agreement and planning consent for the scheme. Cheshire-based Mather and Co has announced that it has been awarded the design contract for the new National Football Museum, which is relocating from Preston to Manchester. Hopes of reviving a South African bid for the 2020 Olympics have been extinguished after the country’s Sports Ministry stated it would not ask the government to reconsider its tender. Dubai has announced it will forgo a bid for the 2020 Olympics in favour of concentrating its efforts on the 2024 Games, while South Africa has emerged as a serious contender. The South Korean city of PyeongChang is favourite to host the 2018 Winter Olympic Games by winning yesterday’s International Olympic Committee (IOC) vote. Bristol City Football Club (BCFC) has welcomed an “encouraging” decision by the local authority to designate part of the city’s Ashton Vale site as a Town Green. Rugby-based construction firm Morgan Sindall has been awarded the contract to deliver De Montfort University’s (DMU) new £8m leisure centre in Leicester. East Kilbride’s Dollan Aqua Centre has reopened to the public following the completion of a £7m refurbishment of the Grade A-listed venue, which was carried out by Clark Contracts. The Pods – a multi-million pound leisure and sports facility being developed in Scunthorpe – has been handed over to North Lincolnshire Council (NLC) ahead of its July opening. The Olympic Delivery Authority (ODA) has revealed that construction work at the London 2012 Basketball Arena is now complete – the fourth Olympic Park venue to be finished. English Premier League clubs reported record revenues of more than £2bn during the 2009-10 season, according to new research published by Deloitte’s Sports Business Group. Councillors have voted to proceed with the £24m Westminster Lodge Leisure Centre project in St Albans, Hertfordshire, following an independent review of the scheme’s business case. 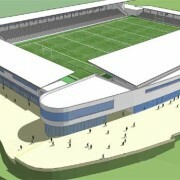 A feasibility study commissioned by Cornwall Council to investigate plans for a new county sports stadium has recommended an “enhanced” option expected to cost around £24m. 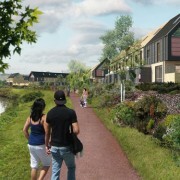 Glasgow City Council (GCC) has revealed that work has started on the £150m City Legacy Homes development – to be used as the 2014 Commonwealth Games Athletes’ Village. Members of the Scottish Football Association (SFA) have agreed plans for a “radical and historic” transformation of the domestic game’s governance and structures. A request from operator Barnsley Premier Leisure (BPL) to close three leisure venues in the South Yorkshire town has been approved by members of Barnsley Council’s cabinet. Volleyball England has launched a new initiative to increase numbers of participants and spectators in beach sports with funding for beach courts across the UK. The Federation of International Gymnastics (FIG) has named Glasgow as host of the 2015 World Artistic Gymnastics Championships – the first time the event has come to Scotland. Heart of Midlothian Football Club (Hearts) has confirmed that it is working with the City of Edinburgh Council (CEC) on a joint study to explore its future stadium options. Ottawa will host the 2013 International Ice Hockey Federation (IIHF) World Championship, bringing the event back to the Canadian city for the first time since 1990. Bulgarian Football Union (BFU) president Bobby Mihaylov has stated his “desire” to enter a joint bid with Romania for UEFA Euro 2020. Nearly 75 locations across the UK have been revealed as forming part of the route for next summer’s Olympic Torch Relay by the organisers of the 2012 Games. 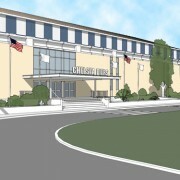 Chelsea Piers Management has announced the start of construction work on a 400,000sq ft (37,161sq m) sports complex in Stamford, Connecticut, US – Chelsea Piers Connecticut. Le Golf National near Paris has been selected to host the 2018 Ryder Cup, after France held off competition from four other nations to stage the biennial golf tournament. Munich’s attempts to bring the 2018 Winter Olympics to Germany received a major lift on Tuesday when officials secured the last piece of property needed for the downhill course. Conwy County Borough Council (CCBC) has appointed sports turf firm Souter Sports to deliver the refurbished stadium pitch surface at Parc Eirias in Colwyn Bay, North Wales. 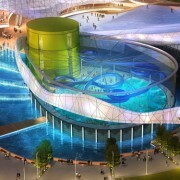 Developers behind a proposed new €430m (£376.2m) leisure development in Dundalk, Ireland, have revealed that the first phase of the scheme is due for completion in late 2012. Andy Anson, chief executive officer of England’s 2018 FIFA World Cup bid, and commercial lawyer Denise Jagger have been appointed to the British Olympic Association’s (BOA) board. Liverpool Football Club’s (LFC) plans for a new stadium or a refurbishment of its Anfield venue will depend on the “right financial model”, according to managing director Ian Ayre. Fife Sports and Leisure Trust (FSLT) has announced plans to invest £900,000 in upgrading facilities and services across its portfolio of 13 venues over the next 12 months. The Football Association has announced it will hold a review into claims from its former chairman that four FIFA Executive Committee members sought improper favours. Organisers of the 2012 Olympic and Paralympic Games are preparing to commence a year-long testing programme later this month under the banner ‘London Prepares’. Sport England has confirmed that it has reduced the funding available to the Rugby Football Union (RFU) by nearly £1.1m after research uncovered a fall in participation. Herne Hill Velodrome – the last surviving venue from the London 1948 Olympic Games – is facing a brighter future after the terms of a new 15-year lease agreement were agreed. SkillsActive and the Institute for the Management of Sport and Physical Activity (IMPSA) have unveiled a new “shared vision” for the future of the UK’s skills agenda. 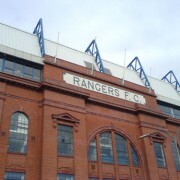 Wavetower, a company fully owned by Craig Whyte’s Liberty Capital group, has acquired more than 85 per cent of Glasgow Rangers Football Club for £1. North Tyneside Council (NTC) has dismissed concerns that Wideopen Learner Pool is to be closed after confirming that an agreement to safeguard its future is close to completion. Munich’s bid to bring the 2018 Winter Olympic and Paralympic Games to Germany has received the backing of residents in Garmisch-Partenkirchen, following a referendum. Plans for the development of a new multi-million pound swimming pool in Blackbird Leys, Oxford, are to face further scrutiny after being called in by members of the local authority. The Football Association (FA) has revealed that match-based discipline is to be introduced to all English clubs that participate in open-aged, 11-a-side matches from 2011-12. Here at SVC, we compile all the major news articles for you in one place. Check back regularly for more headlines on the sports construction industry. Is Your Company In The News? For your news item to be considered on this website, please send your press releases to: info@sportsvenueconstruction.com.